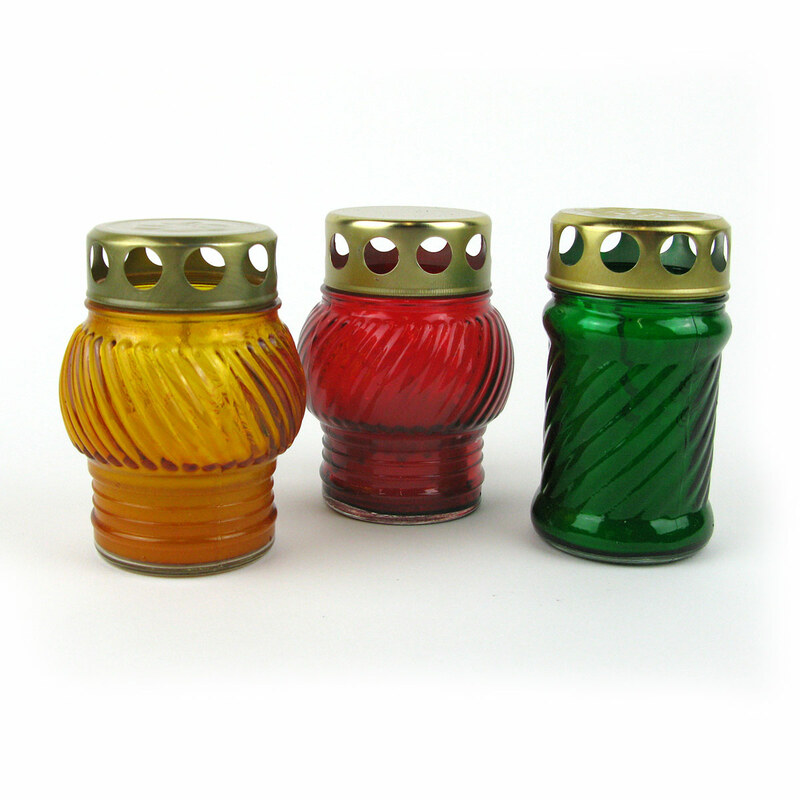 Unscented candle in coloured glass with a metal lid making them usable outdoors as well as indoors. 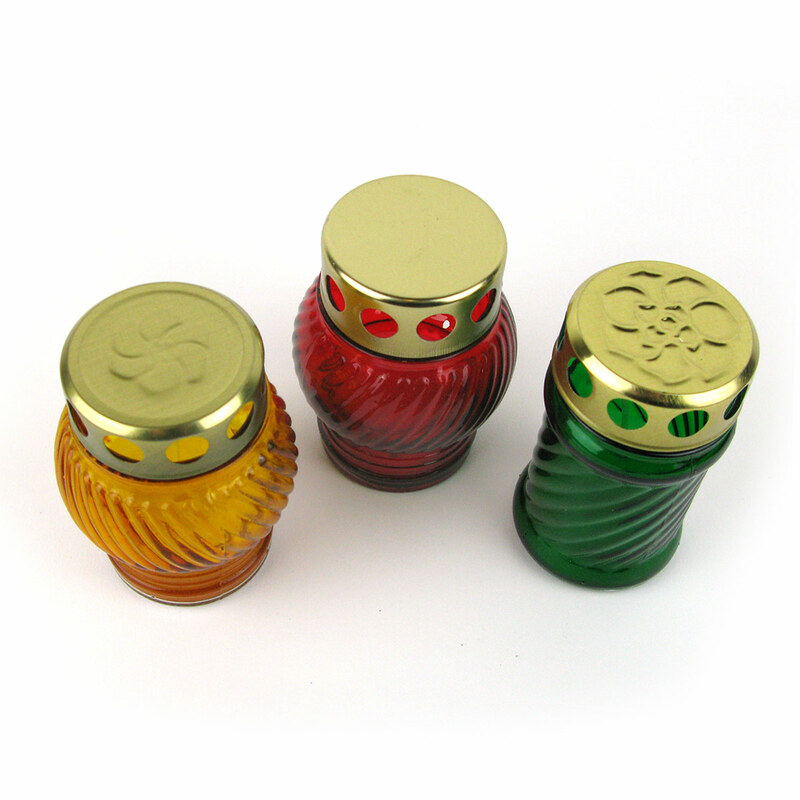 Available in three colours: red, yellow and green. Price is for a single candle. These unscented candles in coloured glass look beautiful, especially when you have more than one colour lit at the same time. Traditionally they are used to decorate cemeteries on All Saints Day but they can be used all year round and are lovely for Christmas. Their metal tops and glass containers mean they can be used both indoors and outdoors. If left outside all the time the lid does eventually rust so it’s worth storing them inside when not in use. Available in three colours: red, yellow and green. Price is for a single candle.